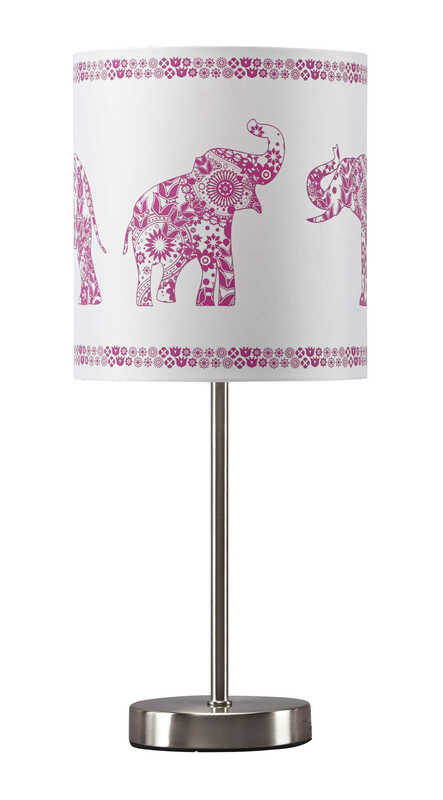 Light up her love for animals with the Nessie table lamp. Elephant motif in pink and white has the most precious floral design. Silvertone base is prim and polished. This lamp is all girl. Shade 8.00" x 8.00" x 9.00"
Base 5.00" x 5.00" x 13.13"
Elephant Motiff and Silver Finished Metal Table Lamp.